New Article: Caplan, Why Was Moshe Sharett Sacked? Caplan, Neil. “Why Was Moshe Sharett Sacked? Examining the Premature End of a Political Career, 1956.” Middle East Journal 70.2 (2016): 275-97. Drawing mainly on the diary of Israeli politician Moshe Sharett, this article examines the circumstances surrounding his forced resignation as foreign minister in 1956. It was Prime Minister David Ben-Gurion who insisted on Sharett’s removal but refused to reveal his reasons publicly. This examination of why Sharett was sacked also offers wider insight into conflicts between activism and restraint within Israel’s political and military elite in the lead-up to the Sinai War. Donno, Antonio. “Recenti studi sull’ebraismo, Israele e Medio Oriente.” Eunomia 4.2 (2015): 627-32.
on Route to Palestine, Hillel Cohen’s 1929, Eric Gartman’s Return to Zion, Ofer Shiff’s The Downfall of Abba Hillel Silver, Jesse Ferris’ Nasser’s Gamble, Daniel Zoughbie’s Indecision Points, and more. Gawerc, Michelle I. “Advocating Peace During the 2014 War in Gaza.” Peace Review 28.1 (2016): 108-13. During the cycle of violence leading up to the third Israeli War in Gaza, some Israelis from Parents Circle/Families Forum (PCFF) – a peace organization consisting of Palestinians and Israelis who have lost a first-degree relative in the conflict – came together to discuss the events. While the Palestinian members could not join the meeting because of the closure of the West Bank, which the Israeli military imposed as a reaction to the kidnapping of three Israeli teenagers, the Palestinian Co-General Manager of the organization was aware of this meeting of the Israeli members and approved. In the period following the kidnapping of the three Israeli teenagers in the West Bank, the Israeli military had closed off large sections of the Israeli-occupied west Bank, made four hundred and nineteen arrests, and raided twenty-two-hundred homes in the Hebron area. At least eight Palestinians were killed in this military operation – including the best friend of one of the Palestinian staff members. During the meeting (which transpired before the dead bodies of the Israeli teens were found, and before the abduction and brutal murder of a Palestinian youth from East Jerusalem neighborhood by right-wing Israelis) one old-timer frantically noted that the situation was only going to get worse. While they discussed what they should do, one member suggested that they should sit in the middle of Tel Aviv every day in order to face, head-on, the hatred and anxiety manifesting itself on the streets until the current cycle of violence subsided. While they did not know how people would respond or for how long they would be sitting outside, they moved forward with the arrangements to set up what they call “The Peace Square.” Ironically, on the day that they received permission from the Tel Aviv municipality and the Israeli police, and secured a place to set up their Peace Square, the war began. Moskovich, Yaffa. “Ramon’s Leadership in the new Israeli Labor Union: The Histadrut.” European Conference on Management, Leadership & Governance (November 2015). In Israel, the old Histadrut, or organization of trade unions, was founded as a welfare agency, it employed about one third of the labor force, and it was the dominant health-service provider, primarily funded by insurance premiums. As a socialist entity, the Histadrut was linked politically and economically to the Labor Party, which helped fund it while in power. The old Histadrut was managed on a political basis, and suffered from organizational decline, including huge debts and economic bankruptcy in most of its institutions and assets. In 1994, a new leader, Haim Ramon, was elected to run the organization. Acting against union members, Ramon transformed the Histadrut into a confederation of autonomous labor unions, selling off Histadrut enterprises and assets to private investors, and severing all political ties. This paper demonstrates the unusual union leadership style of Ramon, who downsized, weakened, and destroyed the Israeli union, while most union leaders act to empower their organization. Coffee is served from 10 – 10:30am, and a kosher lunch served at noon. Oded Erez is a doctoral candidate in the Department of Musicology and the Program in Experimental Critical Theory at UCLA. His current research focuses on the politics of ethnicity, diaspora, and vernacular cosmopolitanism in popular music and film. He has presented his work in wide range of disciplinary contexts, including at the annual meetings of the American Musicological Society, the American Comparative Literature Association, and the Association for Israel Studies. He currently teaches at the Hebrew University’s School of Arts. His paper “The Practice of Quoting Everyday Life: Quotation as Political Praxis in the songs of HaBiluim” will be published in the upcoming issue of Theory and Criticism (Teoria U’vikoret). Zeev Rosenhek is Associate Professor in the Department of Sociology, Political Science and Communication at the Open University of Israel. His main research interests lie in the fields of political and economic sociology, with a particular focus on processes of institutional change and continuity in state-economy relations. 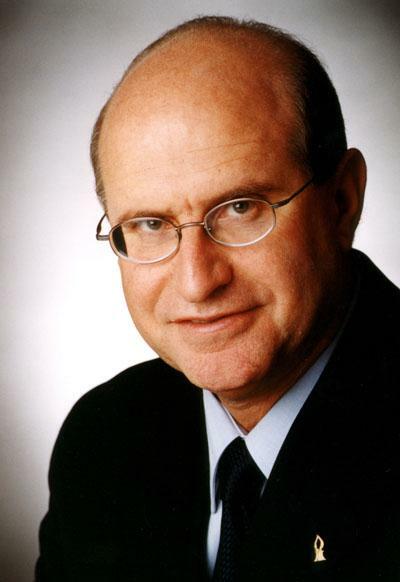 He has conducted research on the political economy of the welfare state, labor migration, and the politics of institutionalization of the neo-liberal regime in Israel. He is the co-author of The Israeli Central Bank: Political Economy, Global Logics and Local Actors (Routledge, 2011) with Daniel Maman, and has published numerous articles in books and journals. He is currently conducting research on the emergence and dynamics of the institutional field of financial literacy in Israel and its interfaces with transnational knowledge and policy networks. Bar-Ilan, Judit, Jenny Bronstein, and Noa Aharony. “Israeli Parties and Party Leaders on Facebook during the 2013 Election Campaign.” iConference 2015 Proceedings, 12 pp. During the 2013 elections in Israel one of the major methods of interaction of the political parties and their leaders with potential voters was through their Facebook pages. These pages were followed for 50 days preceding the elections. For each page, 30% of the posts on the page were analyzed in terms of their rhetoric and subject. The largest number of the analyzed posts was intended for bonding with the audience, and unsurprisingly politics was the most frequent topic. The findings show that personal posts received the largest number of likes pointing to the personal nature of the elections. Findings were compared with results of analysis of the Facebook pages of the US Presidential candidates. Similarities were found, even though in Israel there is a party system and elections are not personal.